Are you feeling anxious, stressed or depressed? Have you experienced a bereavement? Maybe you are experiencing problems with your relationships, have low self-esteem, are lacking in confidence or need some help with anger management. ​Does life feel stressful, overwhelming or challenging? Whether you have something specific on your mind or are feeling that something just isn't quite right, I am here to support you. 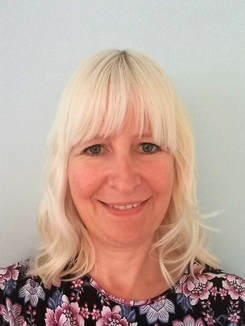 ​I am an experienced and fully qualified counsellor/therapist who has worked for several years in a variety of agencies and settings. ​First of all, I am very gentle and patient. I always work from the point of view that you, as my client, are the expert on yourself so I always respect your thoughts and feelings. Everything you experience is valid and I will never judge you. Part of my training was developing the ability to put aside how I would think and feel about a particular situation and focus entirely on you. This alone can be a refreshing experience and can lead to you feeling truly heard and validated. ​My aim is to provide a friendly and non-judgemental space for you to talk openly and in confidence. ​Evening and daytime appointments available in Fareham and Southsea.